Copyright © Rui Nunes 2014 - This image is copyrighted. Unauthorized reproduction prohibited. 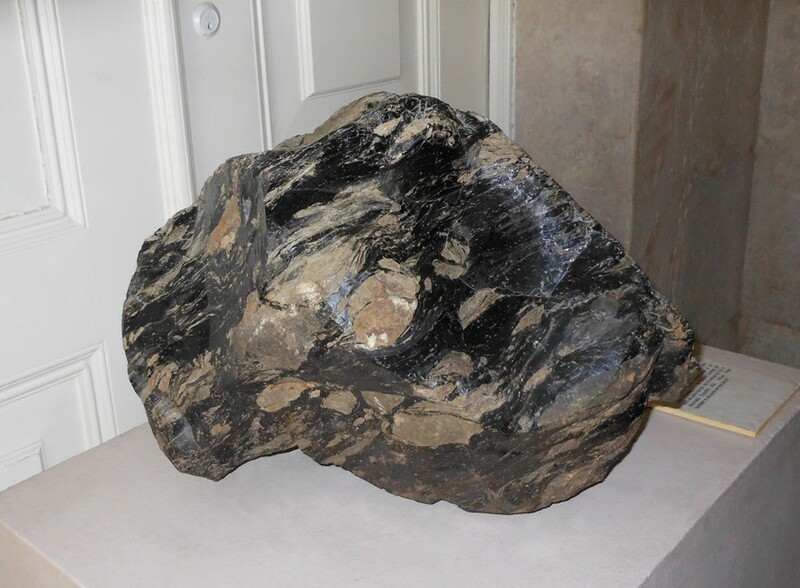 Large obsidian specimen of the MUHNAC/MULisboa mineral collection. Photo Rui Nunes, Oct 2014.